After long term development for Piestany, and only 3 months for RK Bratislava, the two newest teams of Slovakia met for a friendly competition. 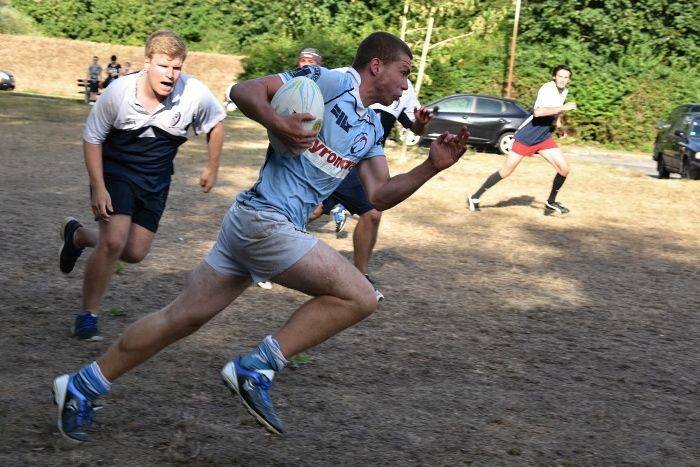 During the sport day in Piestany, managers of each club decided to organize a rugby 7s event, to compete between friends. Thanks to the support of Trnava, RK Bratislava had a full squad to enjoy two matches of 14 minutes (two halves of seven minutes). We are glad this day brought a new dynamism into the Slovak Rugby League, for boys from Piestany, and new members of Bratislava. We look forward to further competitions in the future.